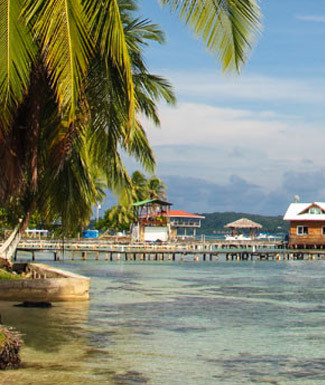 Christopher Columbus touched down on the beautiful white sands of Bocas del Toro, where 92 per cent of the land is covered in dense rainforest. Panama is a land rich in natural wonder and we get right into the meat of things when we board a passenger ferry down the world-famous Panama Canal. See the intricate process of how boats are elevated with rising and lowering waters controlled by a purely gravity-powered system. The country is teeming with an immense population of wildlife. In 1985, a world record was set by a team who counted 385 species of birds in Soberania National Park in a span of just 24 hours. So, it will be no surprise when we become familiar with originally unrecognizable animals, such as a prong-billed barbet or a volcano hummingbird. On our Pleasures Of Panama tour, you'll be able to take time to absorb the sights of the valleys that support the interspersed coffee plantations or vegetable farms. The information given by local guides while on excursions was first class. Local guides were top notch. The evening meal plan met my expectations. Transportation was in good order and driven in a responsible fashion. Particularly enjoyed Panama Canal, both old and new locks. Bocas del Toros resort was lovely. Our local guide was incredibly good - went above and beyond and was very nice. The meal plan exceeded out expectations. Our tour leader was amazing - probably the best tour leader I've ever had on my many tours. He was enthusiastic and went well out of his way to help. What a treasure. I would love to tour with him again. The hotels were excellent. We particularly enjoyed the canal, the new locks, and the wild life viewing. Very good local guides, interesting and spoke english well. I particularly enjoyed visiting the locks (old and new) and Panama City. 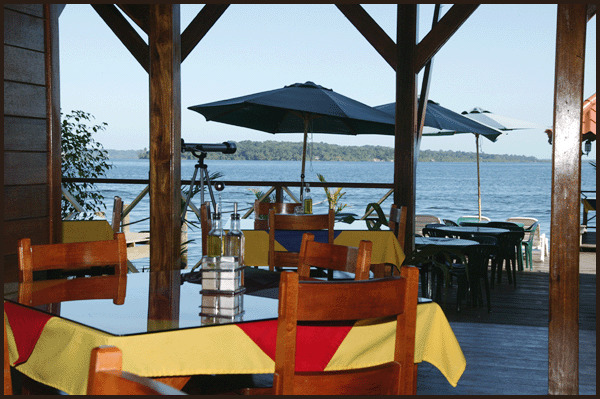 Visiting the Embera village and the boat ride in Bocas del Toro. All local guides were excellent. Our tour leader was an outstanding addition to the enjoyment of the trip, he made the trip exciting and interesting. A very enjoyable, interesting trip. Above my expectations. 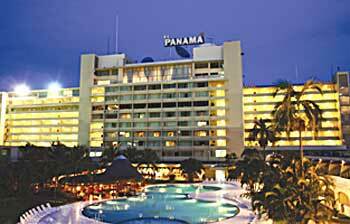 Panama was a surprising country for me. I thoroughly enjoyed the trip. The Canal was amazing and totally impressive. The food was excellent. The group I was travelling with was one of the best I have met. Andres is very knowledgeable and has a very good delivery of such. a good sense of humour. A professional in his field, he is the kind of person that I would like to have in my realm of friends. This sounded like a good opportunity to see the Panama canal at close quarters and we did - from the water, shore viewing platforms, road and railway. The partial transit of the canal and the information available from the on deck ferry service guide was excellent. The trip to the Indian village was interesting but the boat ride on the river was wonderful. To be able to see the green lushness of the vegetation and the easy comfort of the local people, young and old, in their dugouts on the water was very interesting. Our local guide was readily available to answer our broad range of questions and appeared to be very knowledgeable. We had a good variety of choices in the meals available and some excellent taste experiences when the meal was pre-ordered for us. Laura was an attentive and cheerful tour leader. Laura was a great and friendly tour leader and very helpful to the people on the tour. I particularly enjoyed the Panama canal and locks--especially the new area. Local guide was excellent, well versed, sense of humor, and worked well with the tour leader. Enjoyed the variety of the meal plan. The hotels on this tour were very good. Enjoyed the trip, will definitely look at Adventures Abroad for more trips. Particularly enjoyed the Panama canal and the cloud forest. The local guides were excellent. The transportation was prompt, timely, and comfortable. The guides determine the quality of the trip. Our guides and tour leader were excellent so we had an excellent trip. Breakfast and dinner daily (hotels and local restaurants). All transport, accommodation, sightseeing and entrance fees for sites noted as 'visited' in the detailed itinerary. Gratuities for local guides, drivers, restaurant staff, hotel porters (if available). Airport transfers for land & air customers and for early arriving / late departing land & air customers who book their extra hotel nights through us. This tour is offered during the northern winter and outside hurricane season. Temperatures are high across the whole country throughout the year, though cooler at higher altitudes. The rainy season lasts from May to November. Road transport by private air-conditioned motor coach, 24-36 seats depending on ultimate group size (see 'group size'). Numerous nature walks and walking tours on uneven surfaces. Internal flights via scheduled domestic carriers in smaller aircraft with limited space for luggage. Well-located, heated / air-conditioned, mid-range (3 star) hotels with en suite toilet and bath throughout (probably shower only). Single rooms are limited and likely smaller than doubles. Hotel porter service is sometimes available (see 'inclusions') though you should be independent with your luggage. Some hotels have outdoor swimming pools.